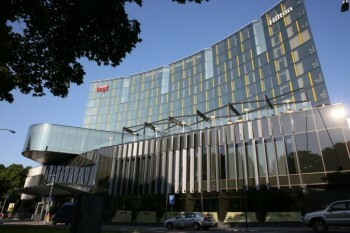 Until 20th September, Hilton Honors (the new-ish Hilton Tallinn Park, reviewed here, is pictured below) is offering a 100% bonus when you purchase 40,000 or 80,000 points. Regular readers of Head for Points will know that I tend to value Hilton points at 0.33p each. You are paying 0.38p ($800 / £614 for 160,000) here so the maths does not look good, especially given the current state of the £. Five star Hilton, Conrad and Waldorf Astoria hotels typically run to 80,000 points per night. In this sale you would be paying $400 for 80,000 points which is often more than you would be paying for a five star in a major city. This is not a bargain. However, Hilton Honors IS a decent deal at cheaper point levels. The Hampton by Hilton in Sheffield, for example, is 10,000 points per night. At 0.38p per point you would be paying roughly £38 per night if you bought the points. That is a 60% discount on the typical nightly rate of £100. Hampton properties include free breakfast as well. At the top end, the Conrad Maldives is usually 95,000 points per night. This often sells for over $2,500 per night, so paying under $500 per night this way is an astonishing deal. We did a big review of Conrad Maldives here. Remember that you can pool points between Hilton members for free so it is now easier for different people to buy points and merge them together. The offer ends on 20th September or when 3,500 packages have been bought – so if you are keen then don’t leave it too long. It seems that British Airways is willing to refund non-refundable flights booked during the data breach period, as well as BA Holidays purchases. They are also willing to refund your out of pocket expenses, such as pre-booked hotels. A reader who wished to cancel a non-refundable booking sent me copies of his correspondence with BA this week. It resulted in a full settlement of everything he requested, including incidental costs AND interest on the money he paid, at the standard County Court-imposed rate of 8%. This particular reader relied on The Consumer Rights Act 2015, Chapter 4, section 49(1) which states that ‘all services must be performed with reasonable care and skill’. If you accept that British Airways has clearly breached this obligation, the underlying purchase contract for your flight or holiday would be void and you could request a full refund. 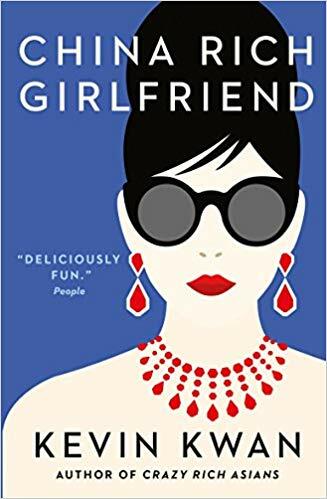 If you have seen the film “Crazy Rich Asians” in the last few weeks, you might be interested to know that Kevin Kwan wrote a sequel, “China Rich Girlfriend“. “Wait a minute, I’m in first class. Take me to first class,” Edison Cheng said contemptuously to to the flight attendant escorting him to his seat. “This IS first class, Mr Cheng,” the man in the crisp navy uniform informed him. “But where are the cabins?” Eddie asked, still confused. “No, no, that’s fine.” Eddie tossed his ostrich leather briefcase onto the seat like a petulant schoolboy …..
You can find out what happens when he realises that there are no flowers in the toilets either (or something like that) for £5.75 at Amazon! OT: I have a BA eVoucher expiring today. I don’t want to book any flights, anything else I can use it on? My 70 year old parents are going there on a river cruise – so it must have well and truly opened. There’s a long strip of land that goes right next to delightful part of undeveloped Thailand. OTBB – tesco Clubcard to Uber credit is a great deal. Rules state that Uber credit can only be redeemed in the UK but I’m wondering how they distinguish and if anyone can confirm that credit from Clubcard points genuinely cannot be used as part payment abroad… Has anyone tried? Genghis said it doesn’t work. Because they know where you are when using the service! Just like sign-up credits don’t work in other countries. Your credit balance still shows but it charges your credit card instead. Uber Eats OK although pretty crappy selection (McDonald’s, etc) from what I’ve seen. I presume it would work in say Jersey / Guernsey if they had Uber due to being charged in GBP. 100% opened, my folks went there on a Saga tour last year. This makes me angry, it is greedy and unnecessary. BA told me that because BA Holidays are not affected I cannot claim. Can you send me a copy of the claim template please? Hilton points sale appears to be sold out. I’d spotted the text that there supposedly were a limited number of packages – but just assumed it was marketing ploy. If you purchase earlier in the year it may be that you’ve already purchased your annual allocation. Thanks – but no, at limit on wife’s account and got the message that annual limit reached. Mine and son’s had no spend on it and the message was quite specific that the limited number of packages had been sold. Via chat last night I got the impression that we won’t have to wait around to long for more packages to be released.